Robert P. Traylor, 73 of Gaylord, went to heaven Sunday, October 28, 2018 at Munson Healthcare Otsego Memorial Hospital. Born in Gaylord on March 22, 1945, Bob was the son of Earl and Nettie (Hamlin) Traylor. He grew up in Gaylord, was a graduate of Gaylord High School and was a lifelong resident. Bob worked for many years for A&P Markets in Gaylord, Grayling, Alpena and West Branch. Later he worked as a route driver for several years for Jay’s Potato Chips. Bob was an avid hunter. 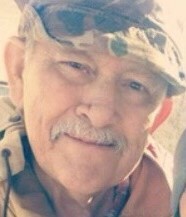 He loved hunting with his dogs, fishing and anything outdoors with his family! On May 28, 1966 Bob married his high school sweetheart, Merry Ann Eaton. They made their home in Gaylord where they raised their family and enjoyed 52 years of marriage. Bob is survived by his wife, Merry Ann; his children, Lisa Traylor of Pawhuska, OK and Robert J. Traylor of Gaylord; a granddaughter, Larisa (Tyler) Frost of Pawhuska, OK; sisters, Susan (Tom) Wojtkowiak, Janet Traylor, Rula Traylor and Stella Johnson , all of Gaylord; and many nieces and nephews. He was preceded in death by a sister, Helen Traylor. Friends are invited to join the family at a memorial gathering at BJ’s Restaurant at 4:00 PM Saturday, November 3, 2018.